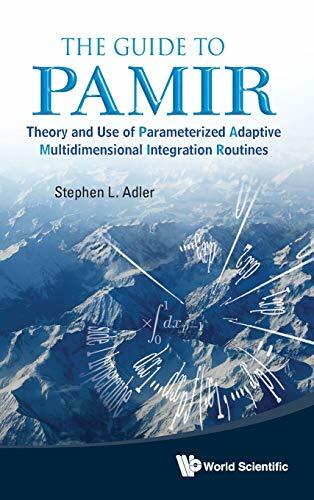 PAMIR (Parameterized Adaptive Multidimensional Integration Routines) is a suite of Fortran programs for multidimensional numerical integration over hypercubes, simplexes, and hyper-rectangles in general dimension p, intended for use by physicists, applied mathematicians, computer scientists, and engineers. The programs, which are available on the internet at www.pamir-integrate.com and are free for non-profit research use, are capable of following localized peaks and valleys of the integrand. Each program comes with a Message-Passing Interface (MPI) parallel version for cluster use as well as serial versions.The first chapter presents introductory material, similar to that on the PAMIR website, and the next is a "manual" giving much more detail on the use of the programs than is on the website. They are followed by many examples of performance benchmarks and comparisons with other programs, and a discussion of the computational integration aspects of PAMIR, in comparison with other methods in the literature. The final chapter provides details of the construction of the algorithms, while the Appendices give technical details and certain mathematical derivations.